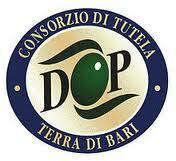 The Terra di Bari PDO extra virgin olive oil is obtained from the Coratina, Cima di Bitonto, Ogliarola Barese and Cima di Mola varieties of olive. 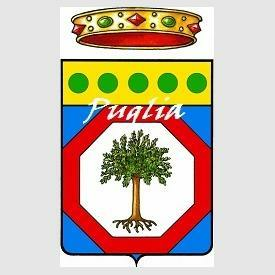 The denomination must be accompanied by one of the following place names: Castel del Monte, Bitonto, Murgia dei Trulli e delle Grotte. 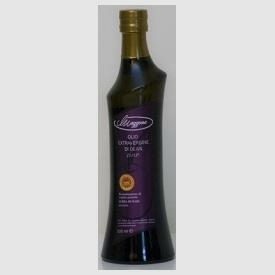 The percentages of the different varieties of olive vary from area to area. The harvest must be completed by 30th January each year. The olives must be harvested manually or by machine directly from the tree. The oil must be pressed within two days of the harvest. Castel del Monte: obtained from the Coratina variety (at least 80%) is green in colour with hints of yellow, has an intensely fruity aroma and a fruity taste with medium hints of bitterness and pepper. Bitonto: obtained from the Cima di Bitonto or Ogliarola Barese and Coratina varieties (at least 80%), has a green-yellow colour, a medium fruity aroma and a light fruity taste with delicate hints of fresh grass and pepper and spice. . Murgia dei Trulli e delle Grotte: obtained from the Cima di Mola variety (at least 50%) has a golden yellow colour with hints of green, a light fruity aroma and a fruity taste with hints of fresh almond and a touch of bitterness and pepper. 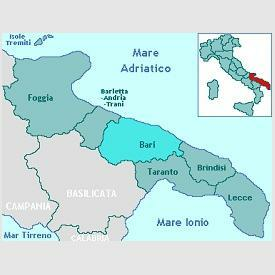 The growing, pressing and bottling area of Terra di Bari PDO extra virgin olive oil is located in three distinctive geographical areas, Castel del Monte, Bitonto and Murgia dei Trulli, which are situated in different municipal areas in the district of Bari, in the region of Apulia. 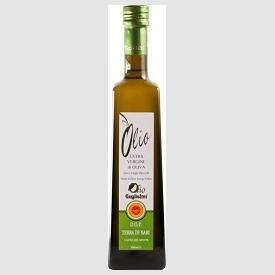 The production of olive oil in the Terra Bari PDO extra virgin olive oil area has ancient origins, presumably dating as far back as Neolithic times. 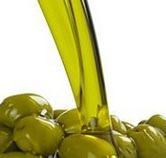 The expansion in the cultivation of the olive though can be ascribed to the Romans, with their central organization for the commerce and export of olive oil. 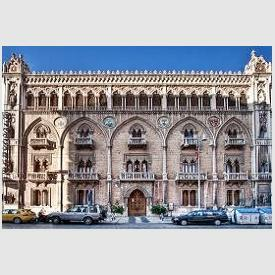 The importance of this trade was shown by the fact that it was the main source of wealth for many of the noble families of the Bari area who, in the 16th and 17th centuries, governed the trade with Naples, Ferrara and Venice, Venice being an important hub for trade to many other European countries. 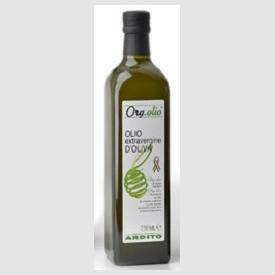 Extra virgin olive oil is easily degradable and must be stored correctly to maintain its organoleptic qualities. It should therefore be kept in a cool, dark place at a temperature of between 14 e 18°C, away from sources of heat and away from other foods which produce odours. 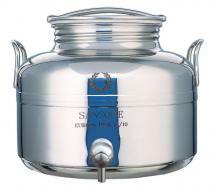 It should be used within four to six months of pressing to enjoy its flavour at its best. 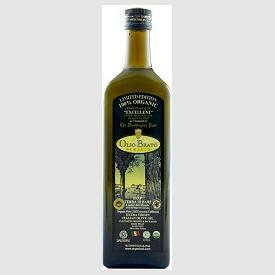 The Terra di Bari PDO extra virgin olive oil is an ideal condiment for vegetables, bruschetta and pinzimonio, while it enhances the flavour of cooked dishes. 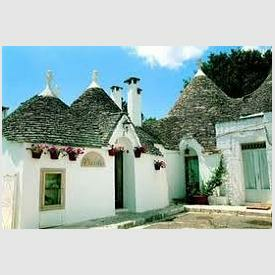 It is perfect with the fish dishes typical of Apulia. 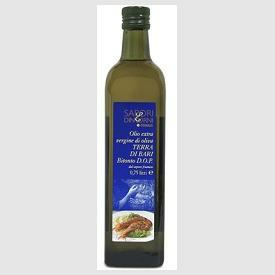 The product is sold as Terra di Bari PDO extra virgin olive oil, accompanied by one of the following names: Castel del Monte, Bitonto, Murgia dei Trulli e delle Grotte. It comes in glass or tin containers of no larger than 5 litres. The label must display the year of production. 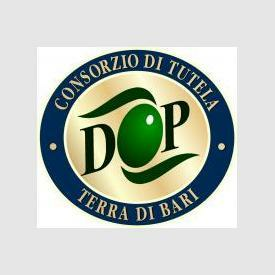 The Terra di Bari PDO extra virgin olive oil is characterized by a maximum level of acidity of between 0.5 and 0.6 gr per 100 gr of oil, depending on which municipality it come from, and a panel test grade of at least 7. 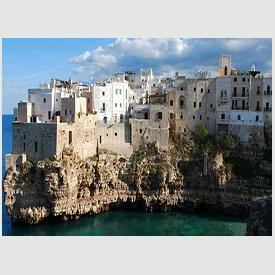 Accommodations-Products & Services in the Region of Puglia. 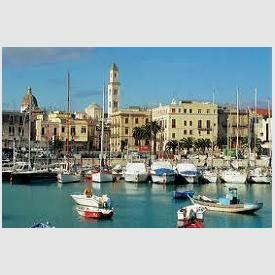 Strutture ricettive-Prodotti & Servizi offerti nella Puglia.